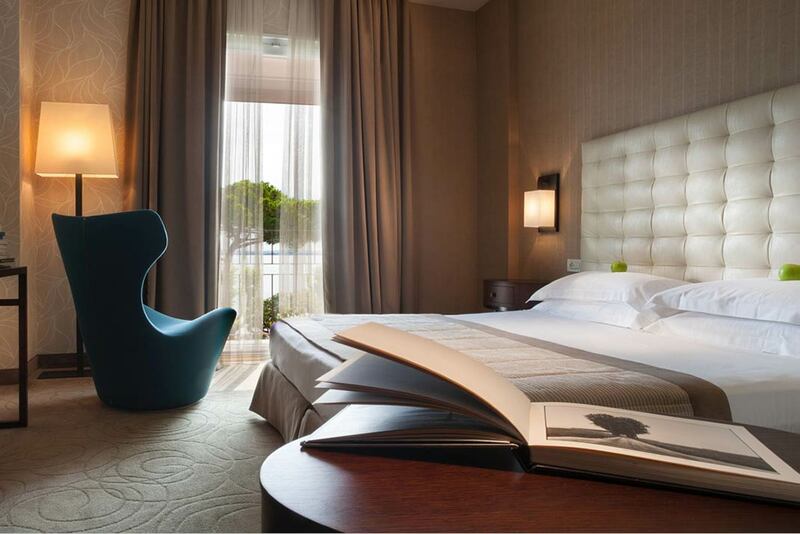 4-star Park Hotel is the only luxury hotel located in Desenzano’s historic center by Lake Garda. The hotel offers a holiday experience where everything has been designed with painstaking attention to details. The guests of Park Hotel receive a custom-made treatment as Park Hotel’s philosophy is: building a vacation around every guest making his or her experience unique and satisfactory according to his or her needs. The interiors are warm and stylishly furnished. Nothing is left to chance. The hotel has always been one of the favorite properties by foreign tourists which is why has gained a cosmopolitan atmosphere over the years. The items of furniture combine past and modernity into a unique mix of irresistible charm. At Park Hotel, moments of pure relax never miss at the panoramic pool surrounded by a solarium with cozy loungers and fitted with hydromassage, a real panacea for your body and soul. The hotel is the ideal location for those wishing to organize business meetings or business and recreational events. The 51 rooms of the hotel offer guests elegant and high-end interiors rich in services. Elegance rooms feature a secluded and relaxing environment, Superior rooms, furnished with B&B Italia and Flexform-Mood’s furniture conveying uniqueness and elegance to the room, Executive, coming with Christopher Guy’s furniture, the internationally renowned designed. Finally, Prestige and Prestige Family are the top of choice: outfitted with a crystal shower, marble bathroom and living room with prestigious armchairs with table. Every choice is designed for a specific need. At Park Hotel we love amazing our guests with 100% unique flavors. 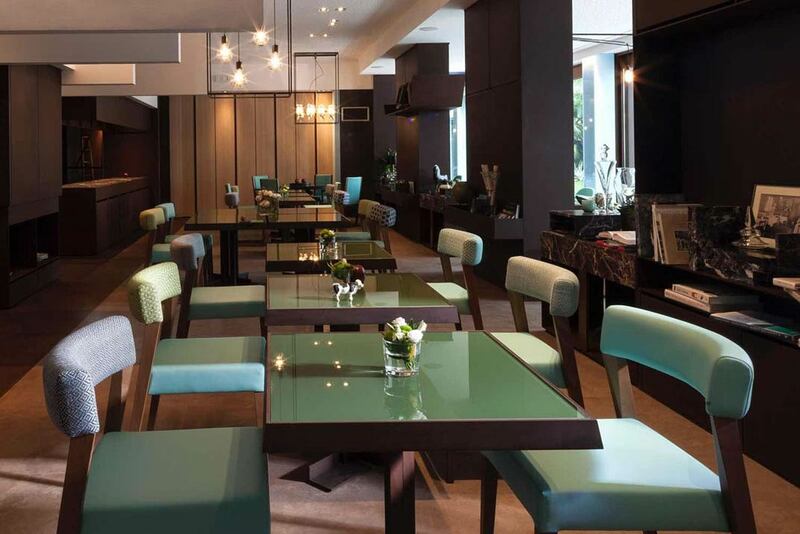 The Hotel features a cocktail bar where you will have a chance to sip an excellent happy hour before having lunch or dinner at Philò Restaurant. The bar is located in a large sitting room filled with books, objects and photographs telling the history of the family who run the hotel, their love for Lake Garda and their passion for their work. The breakfast, rich in first-rate specialties, is served at the tables on the veranda overlooking the garden and the lake. At lunch and dinner you will be delighted by our young chefs’ creations , talented Italian professionals who will amaze and delight you.